Including a discussion of active and passive systems, solar collectors, and water storage tanks. The first, most rudimentary solar water heaters were simply black metal containers, such as barrels or drums, that were placed in sunlight. 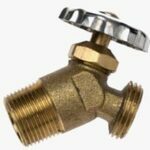 Water filled them, absorbed heat from the sun, and then traveled through a pipe to the home’s hot water system. Modern solar water heaters use the same basic principle but incorporate a sophisticated system of pumps, storage containers, and collection devices to maximize the amount of the sun’s energy transferred to the water, the hot water generated, and the energy retained. 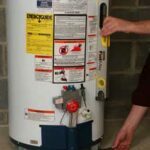 Nearly all cycle hot water into an existing conventional tank-style water heater that has a secondary source of heat and thus reduces the energy load needed to maintain hot water. The conventional water heater backs up the solar heater on cloudy days and times of increased demand. Many designs are manufactured, distinguished by the type of collector and circulation system they employ. 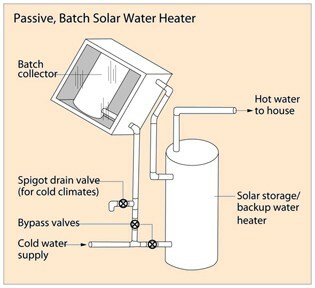 All solar water heaters fall within two main categories: passive and active. Active systems utilize circulating pumps whereas passive systems move water via water’s natural tendency to rise when it is warmed. Active systems may have either direct or indirect circulation. With a direct system, a pump circulates a home’s water through the collectors. Indirect systems don’t circulate household water through the collectors but, instead, pump a non-freezing heat-transfer fluid through the collectors to be heated. This anti-freeze fluid then travels through a heat exchanger inside a storage tank, where it transfers its heat to the water. The indirect system is more complex but better in climates where freezing temperatures would freeze up a direct system. 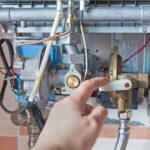 Passive systems, though less expensive than active ones, are not as efficient at transferring heat because they don’t circulate the heated water as quickly. On the plus side, they are less expensive, more reliable, and more durable. The collector is the part of a solar water heater system that collects the warmth from the sun and transfers it to the water. An example of the simplest collector is the old fashioned “hot box,” which is a recycled hot water tank that has been stripped of its shell, painted black, and placed in a well-insulated box with a glass lid. Though incredibly basic, this is actually an effective system that is easy to build and install for very little investment. 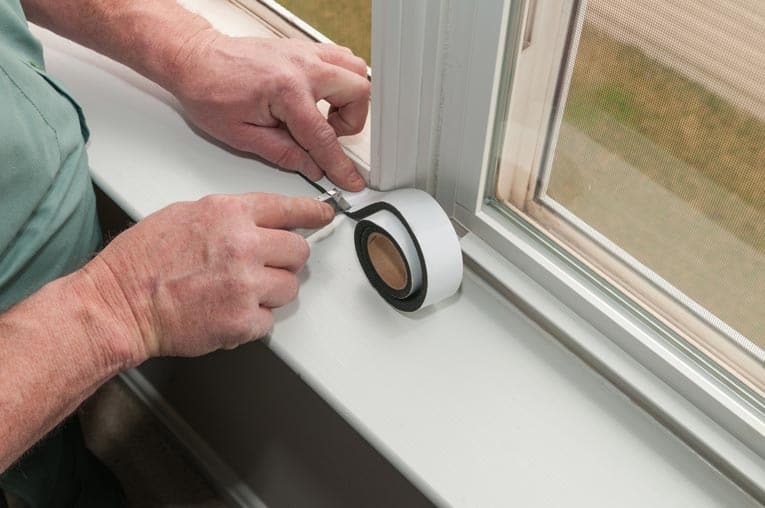 Regardless of whether a home’s system is active or passive, it will have one of three types of solar collectors: flat-plate, integral collector-storage system, or evacuated-tube solar collectors. The next step up is a hot box collector that uses a black absorber plate to collect solar radiation. These collectors usually have a dark absorber plate placed under one or more glass or clear plastic covers. The plate transfers the sun’s heat to copper tubing (painted black as well, usually with an electrostatic paint). The water flows through this absorber plate, where it is heated by the sun. The insulation helps keep the heat inside the box. This is superior to the hot box in delivering larger volumes of heated water. Absorber plate collectors have a much lower profile and weigh less than a rudimentary hot box, making them an attractive low-cost solution for existing homes (and especially economical for heating swimming pools). The top-of-the-line technology for solar water heating is an evacuated-tube collector. This type of system features parallel rows of transparent glass tubes, metal absorbers, and coated fins. These high-tech collectors minimize heat loss through radiation. Some styles employ glass tubes within tubes or have a metal absorber tube attached to a fin. With the latter type, the fin’s coating absorbs solar energy but inhibits heat loss. A vacuum is created inside the tubes, which eliminates conductive and convective heat loss, which seriously diminishes the efficiency of the more basic collector systems. Evacuated-tube or vacuum-style collectors can achieve surprisingly high water temperature, sometimes in excess of 300 degrees F.
Integral collector-storage (“batch”) systems (ICS) also employ a glazed, insulated box but utilize one or more black tubes or tanks instead of absorber plates to heat the water. 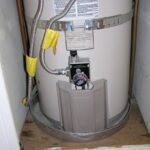 The preheated water is sent to the conventional backup water heater, where it is stored. Outdoor pipes are vulnerable to freezing, so this type of setup isn’t appropriate for regions with severely cold winters. 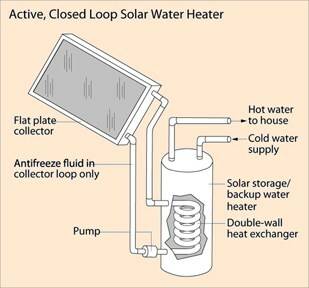 Solar water heater storage tanks are well insulated and have inlets and outlets connected from and to the collector. One-tank systems utilize a backup heater/solar storage tank combination. 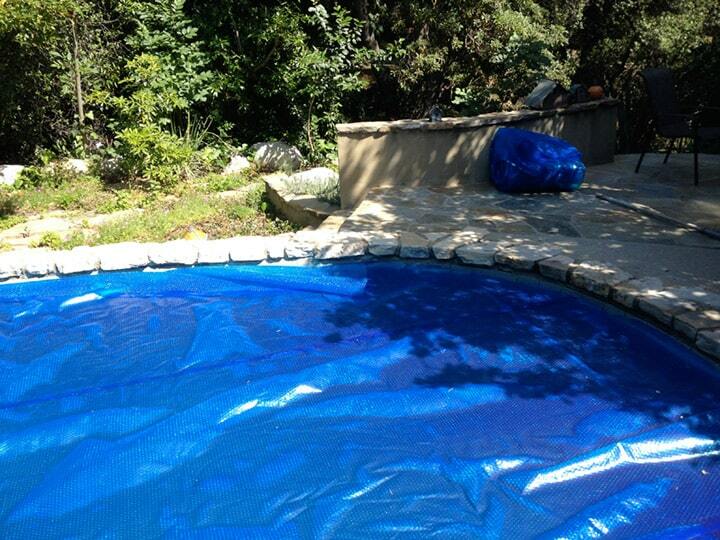 Two-tank systems have a solar water heater that preheats the water before it travels to a conventional water heater.